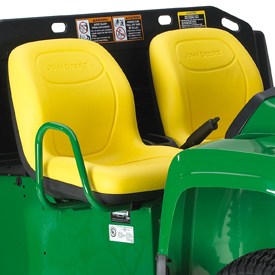 The Gator™ TE is equipped with an Underwriters Laboratories Inc. (UL)-approved on-board charger. 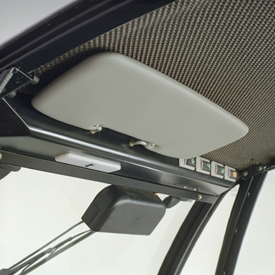 Located under the passenger seat, the on-board charger allows the user to charge their TE from any location containing a wall receptacle. This saves the user time, as they do not have to travel back to their maintenance area for charging; charging can be done anywhere. The on-board charger is designed with a wide input voltage range from 85 - 265 VAC, making it capable for worldwide application. Power factor correction and 12A maximum current draw ensures the charger will work reliably from any power outlet in the world, even through surges and sags. The on-board charger features advanced temperature sensor technology that improves the information flow coming in and out of charger. 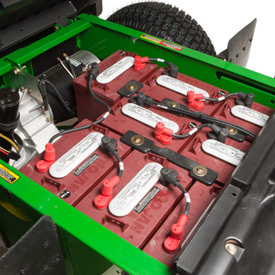 The batteries are allowed to charge more fully than they were ever able to before; this can improve run time by up to 75 percent (depending on use cycle). 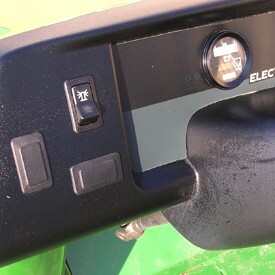 The Gator TE is equipped with an external AC input IEC connector on the driver side of the vehicle to allow the flexibility of where the charger cord is stored. Multicolor LED indicator for low charge, more than 80 percent charge, full charge, or fault. 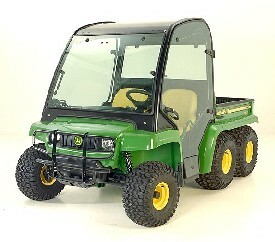 The Gator™ TE Utility Vehicle features a motor powered by a 48-V electrical system. Power is transferred through a transaxle with helical gearing for low gear noise. 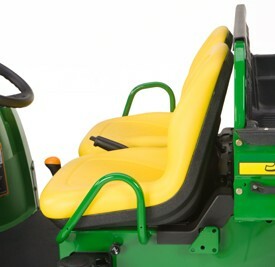 Many of the Gator™ TE's standard features offer the operator and passenger a smooth, comfortable ride. 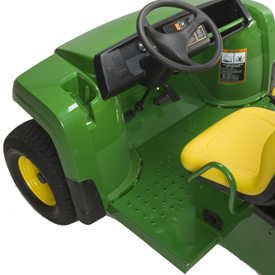 The Gator TE's controls and improved walk-through platform provide easy entry/exit for both operator and passenger. 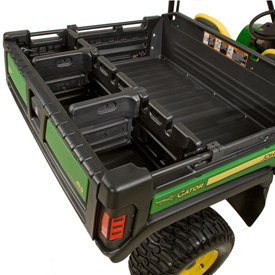 The deluxe cargo box consists of a 15 percent glass-filled polypropylene composite material that eliminates rust and dents and reduces noise. 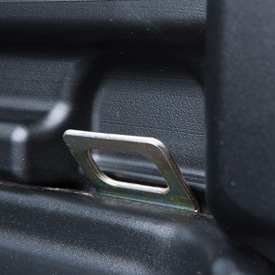 The deluxe cargo box is now easier to latch, unlatch, raise, and lower with the integrated handle design and gas assist (A). 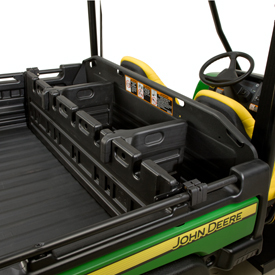 Optional factory- or dealer-installed cargo box power lift is also available. 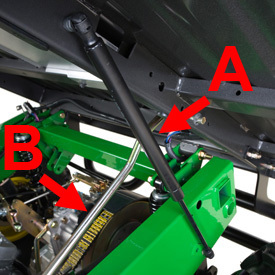 A prop rod (B) is provided to hold the box in the upright position for operator convenience, as well as limit box pivot travel. 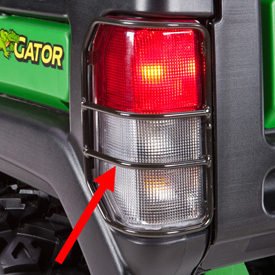 NOTE: Cargo box shown on Gator TX. 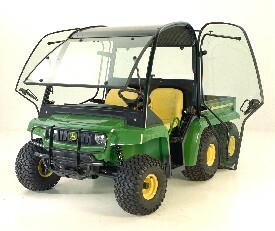 Gator TE rear axle configuration is different. 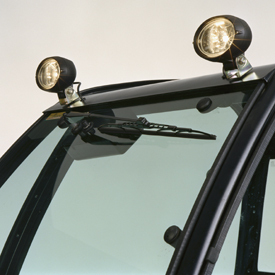 The heavy-duty design with arc-welded uni-body construction provides strength and manufacturing tolerance control. 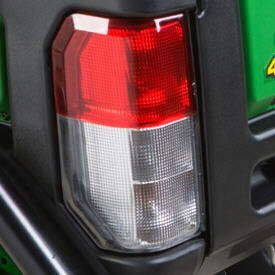 Separately excited, 400 amp max., Anti-roll away braking and alarm. Antistall motor protection. Regenerative braking. Diagnostic indicator. Full torque, reduced speed reverse. No-interest if paid in full within 12 months². Interest will be charged to your account at 17.90% APR from the purchase date if the purchase balance is not paid in full within 12 months or if your account is otherwise in default. Offer available 27 October 2018 through 28 February 2019. 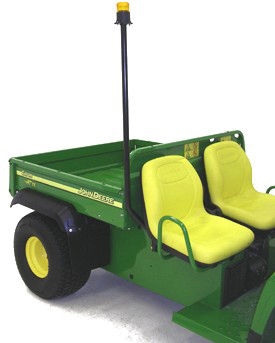 All parts required to convert the Gator™ TE (Electric) Utility Vehicle from 48-V to 12-V for use of 12-V attachments. 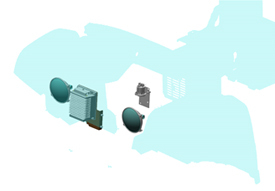 Kit includes brackets, converter, hardware, and headlights necessary for the electrical conversion. 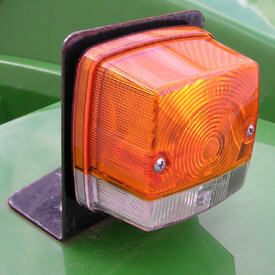 Enables use of 12-V attachments such as beacon light kit, horn kit, brake/tail light kit, and deluxe light kit. 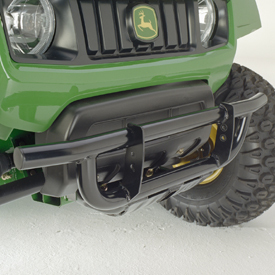 Composed of strong tubular steel, the front bumper protects the front of the Gator™ Utility Vehicle. 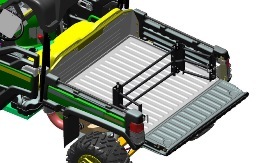 Composed of strong tubular steel, the heavy-duty bumper and brush guard protect the unit from front impacts, as well as add increased protection to the grille and headlights. The front fender guard is composed of strong tubular steel that protects the unit from side impacts. 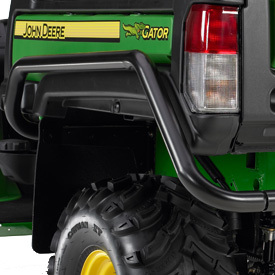 NOTE: The front bumper is standard on the Gator™ TH 6x4 Diesel. 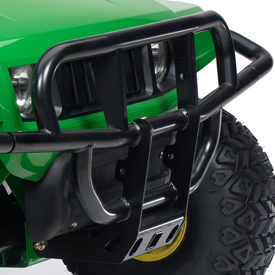 The front fender guard requires BM23458 front bumper or BM23459 heavy-duty bumper/brush guard. 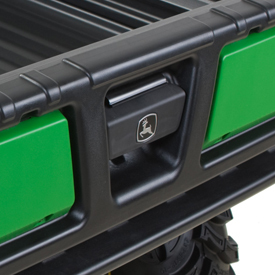 The side storage box offers over 0.03 m3 (1 cu ft) of storage space to keep valuable items dry and secure. 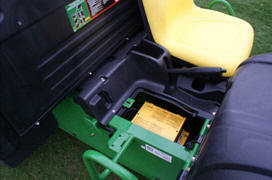 NOTE: The side storage box fits the driver side only. 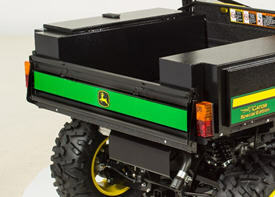 This tailgate kit with brake and tail lights is specifically designed for compatibility with the top and side-door toolboxes (BM26162 and BM26160). 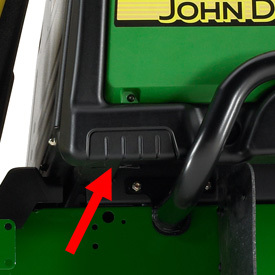 The tailgate can be installed in minutes once the toolbox and tail lights are installed by bolting to the tailgate bracket. 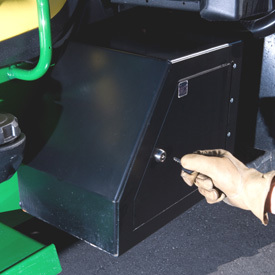 The remote cargo box release kit makes opening the cargo box much easier due to limited hand clearance space between the deluxe cab and deluxe cargo box. 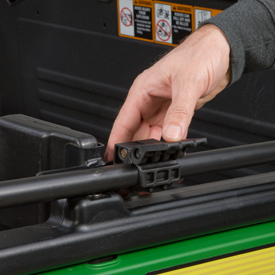 This kit includes a bracket assembly that quickly mounts to the deluxe cargo box. 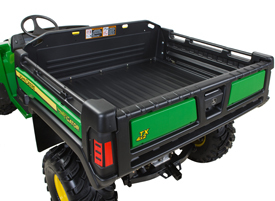 TH 6x4 Gas, TH 6x4 Diesel, TE, and TX Utility Vehicles with a deluxe cargo box and equipped with a deluxe glass cab and manual cargo box lift (no power lift). 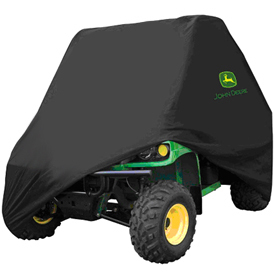 The deluxe thick-cushioned seat cover provides superior protection, all-day riding comfort, and lots of storage. 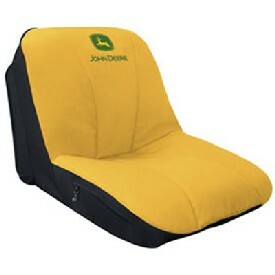 The cover protects unused seats and renews worn seats. 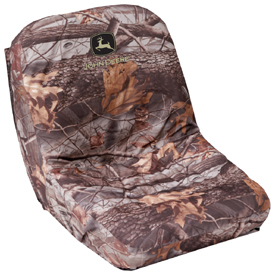 REALTREE HARDWOODS HD is a U.S.-registered trademark of Jordan Outdoor Enterprises Limited. 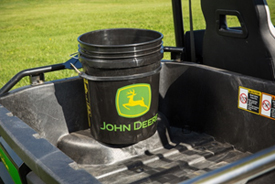 Please contact the local John Deere dealer for availability and pricing information. 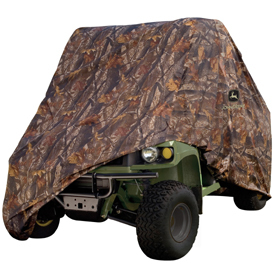 The cover provides heavy-duty protection for Gators. 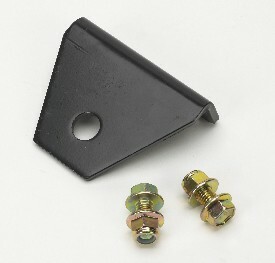 This kit includes a 32-mm (1.25-in.) solid steel drawbar, galvanized cross pin, and hitch pin kit. 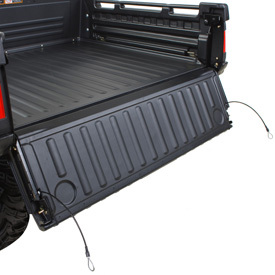 It does not include a ball hitch. 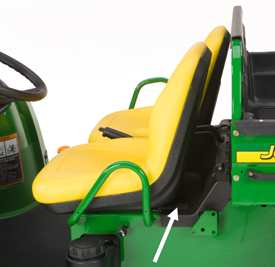 The drawbar kit may be used on the front or rear of the utility vehicle. 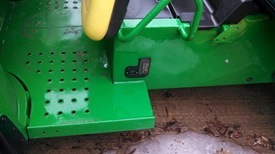 The switch mounts on the dash of the vehicle. 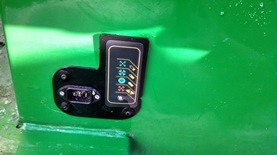 The wiring harness connects to the main vehicle harness. NOTE: This kit comes less grease. 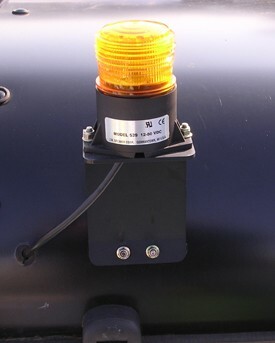 The beacon light is ideal for those who are looking to provide additional awareness for bystanders. 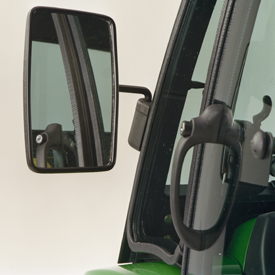 The kit also includes required dash-mounted switches. NOTE: Not intended for use on public roadways. 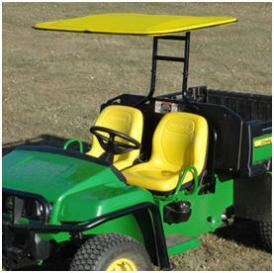 The conveniently placed overhead visor provides sun protection. 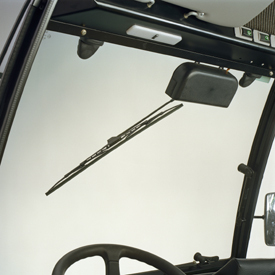 The deluxe glass cab includes front windshield (excluding wiper), glass doors, and glass rear window. 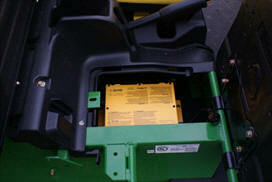 BM21653 remote cargo box release kit is required if vehicle is not equipped with cargo box power lift. 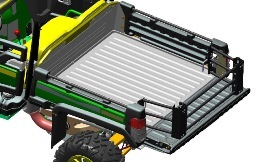 BM21653 is for use with the TS and steel cargo boxes and is not compatible with model year 2010 to current utility vehicles (deluxe cargo box) or M-Gator A1. 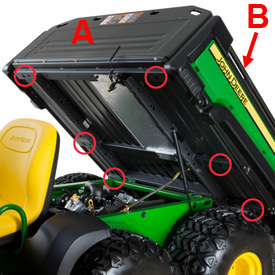 BM24804 remote cargo box release kit is required for model year 2010 to current utility vehicles with the deluxe cargo box and is not equipped with a cargo box power lift. Heavy-duty front suspension kit is recommended. 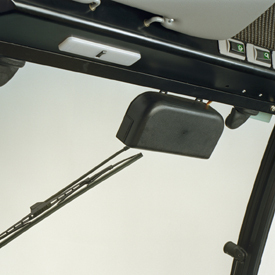 Required to power electrical cab accessories, this kit includes an overhead console to mount switches that operate electrical accessories, the main cab harness, the 30-A fuse holder, the 30-A fuse, and the roof padding. 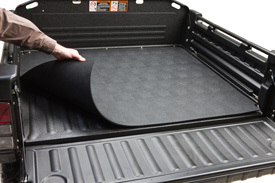 Washable mat protects the floor and minimizes dust, debris, and noise in the operator station. 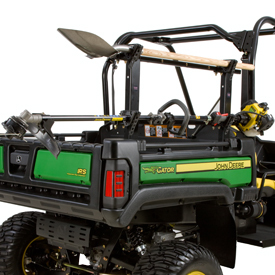 Compatible with Gator™ TS 4X2, TX 4X2, TH 6X4 Gas, TH 6X4 Diesel, TX Turf, and TE Electric-145 Utility Vehicles. Made from 100 percent solution dyed, all-weather ultraviolet resistant polyester designed specifically to handle stress and resist tearing. Urethane coating is added to the fabric, adding stability and increased moisture and mildew resistance, with minimal shrinking or stretching. 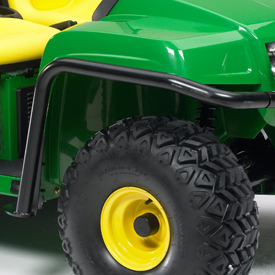 Heavy-duty powder coated black steel frame that bolts directly to the vehicle chassis. 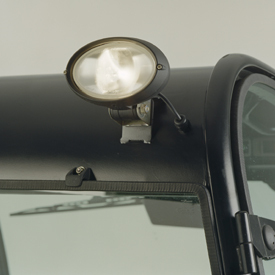 The windscreen is constructed of tough, 4.76-mm (3/16-in.) thick tinted acrylic. 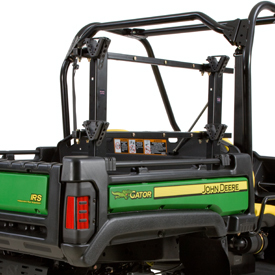 Gator™ TS has a 408-kg (900-lb) towing capacity. 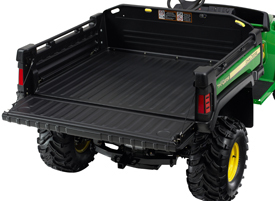 Gator TH 6x4 has a 635-kg (1400-lb) towing capacity. 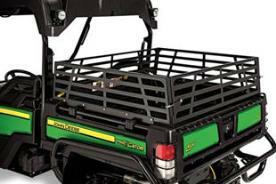 Gator TH 6x4 Diesel has a 726-kg (1600-lb) towing capacity. 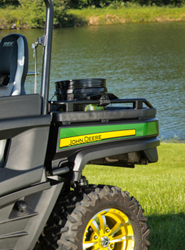 Gator TE has a 272-kg (600-lb) towing capacity. 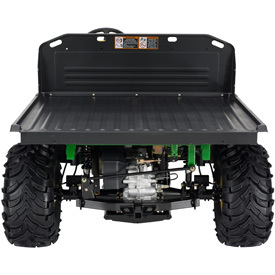 Gator 6X4 Diesel has a 636-kg (1400-lb) towing capacity. 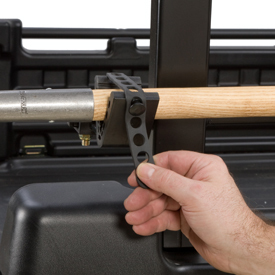 This versatile hitch accepts a 1.25 in. 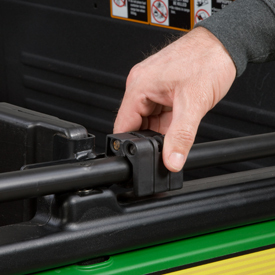 (31.75 mm) drawbar. 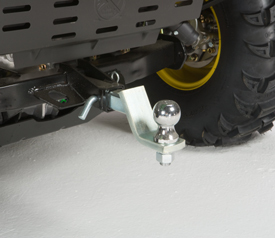 No ball mount comes with the hitch. 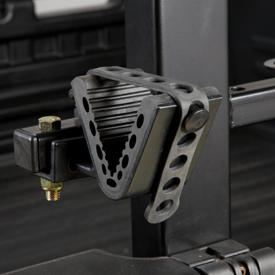 This kit provides a slide-rail system that allows five 14-mm (9/16-in.) fore-aft positions. 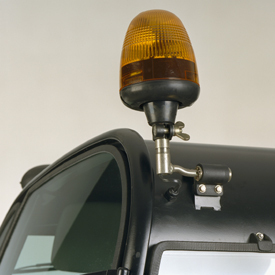 The reservoir assembly bolts to the bottom-right rear of the cab structure. 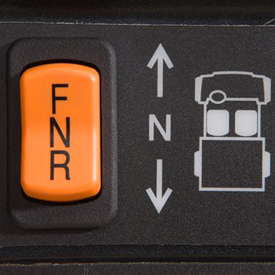 A convenient overhead-mounted on/off rocker switch controls the windshield wiper and washer fluid. 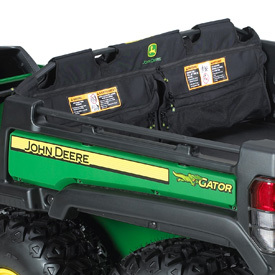 As with all Gator™ electrical kits, the washer kit ties into the vehicle's wiring harness for quick installation. 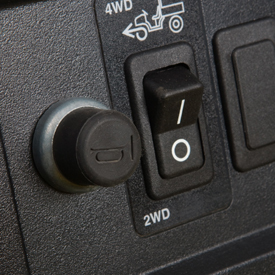 A convenient overhead mounted on/off rocker switch controls the windshield wiper and washer fluid (if equipped). 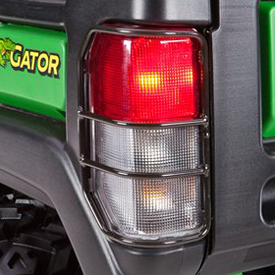 As with all Gator™ electrical kits, the wiper kit ties into the vehicle's wiring harness for quick installation. No reviews have been created. Weekdays 8 a.m. - 5 p.m.